Damen has held the first viewing of its UV 4312 Fish Farm Support Vessel. The new class is the result of extensive discussions with the global fish farming industry and the result is a versatile vessel specifically designed to undertake the maintenance and support tasks particular to saltwater fish farms. 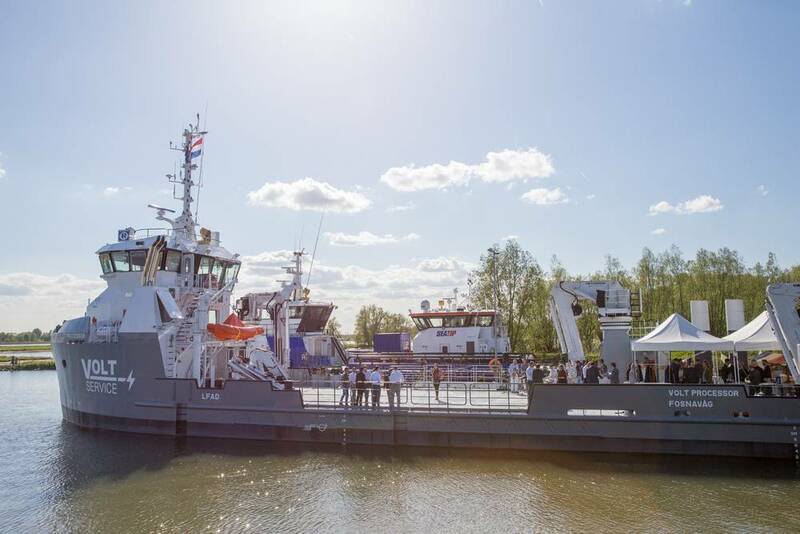 The open day took place at the group’s headquarters at Damen Shipyards Gorinchem and was held for the benefit of operators from across the global sector. The 43-meter, 499 metric ton GT Utility Vessel (UV) 4312 builds on the development work that went into its smaller predecessor; the UV 2410. 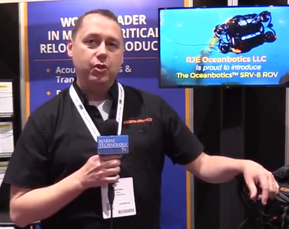 The UV 4312 reflects the value that fish farm operators place on having a seagoing vessel with a large expanse of clear, protected and easy to clean deck space, which can be used for a wide variety of supporting services for fish farms. This first UV 4312 will be fitted with the latest chemical-free delousing installation and offers the ability to service more farms across larger areas and in more open waters. The vessel on show at Damen Shipyards Gorinchem is the result of a contract signed in December 2016 by Damen Shipyards Group and Norway-based VOLT Service. Following the open day she was handed over to the client in the Netherlands and from there sailed to Norway where she currently is being fitted with her modular delousing equipment. She will be formally christened VOLT Processor at the end of May. Thereafter she will begin her duties of providing delousing operations and other services to Norwegian salmon farms in the Harstad area. Remøy Management AS was closely involved in the development of the project and will manage the vessel once she is delivered. Key features of the standard design, some of which also optimize it for fish welfare, include a low freeboard, easy access to the waterline on both sides, a large hold and removable railings for hose-handling operations. The standard UV 4312 also comes with a diesel-electric configuration that provides an efficient, flexible power supply for the 750kW propulsion installation and for the deck equipment when moored within farms. During the build of VOLT Processor protection for the propellers from nets and their mooring lines was added along with a large oxygen generating plant and extra deck equipment such as cranes, a capstan and tugger winches.